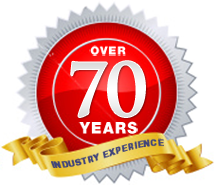 Publishers Management Corporation (PMC) has over 70 years cumulative experience in the management of newsletters, products, conferences, fulfillment, and customer care functions for many prestigious companies. "Our Reputation is Second to None!" We appreciate the uniqueness of your company and we will deliver a solution for the ever-changing business climate to best support your needs. Our unsurpassed, proven track record in client relations, business savvy and management experience allows us to offer you solid assistance in growing your business. As a stable privately-held company, we are available, responsive and professional. Our clients do not face layers of bureaucracy and off-the-shelf solutions. Explore all the services PMC has to offer and join us in a truly unique level of commitment in supplying the solutions you need to move your business towards its brightest future. Thank you for visiting our website - Please contact us for a quote or any questions you need answered!